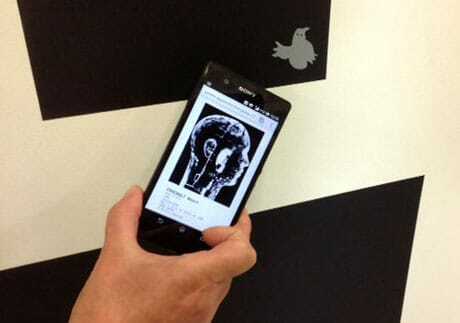 Orange France has teamed with visual artist Pierre Giner and France’s National Centre for Visual Arts to put on an exhibition where artworks can only be seen via NFC. A part of the Des Images Comme Des Oiseaux (“images like birds”) exhibition consists of black prints with a small ghost graphic in the bottom right corner. This “images fantômes” icon has an NFC tag embedded behind it which, when read with an app developed by Orange, takes the user to a page showing the artwork. 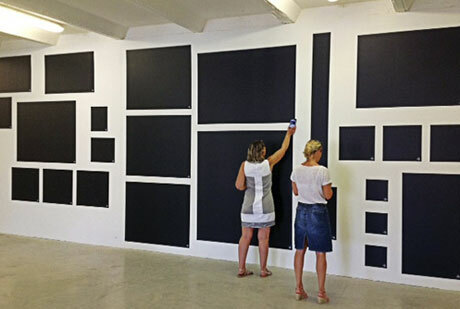 Visitors to Friche la Belle de Mai in Marseille were able to use an NFC phone to not only see the art on display but also receive additional information about the photographs and share information with others on social networks.